The pizza chain businessman said a very naughty thing - and now he's being punished. Papa John has been forced to step down from his role as Papa John after using some choice words during a conference call. Words that could be construed as just the teeniest bit racist. Papa John, or John Schnatter as he is known to his mates, made the comments during what was supposed to be a training exercise to help him brush up on his media skills. That went well. Asked to highlight his opposition to racism, Schnatter decided that the best response to give would be one where he recalled how KFC founder Colonel Sanders, who died back in 1980, never got any flack for using the n-word back them. Just a reminder: the Colonel died in 1980. He then doubled down on the awkwardness of the call with a little story remembering how African American men used to be chased and attacked in his hometown. Ah, memories. The comments didn’t go down well with anyone else on the call and soon became public knowledge thanks to a report from Forbes. Schnatter apologised over the use of the “inappropriate and hurtful” word and stepped down. Back in December, he was forced to step down as the company’s chief executive amid slowing sales. On that occasion, he landed himself in hot water after criticising NFL players for kneeling during the national anthem, stating it was the reason for the drop-off in demand. 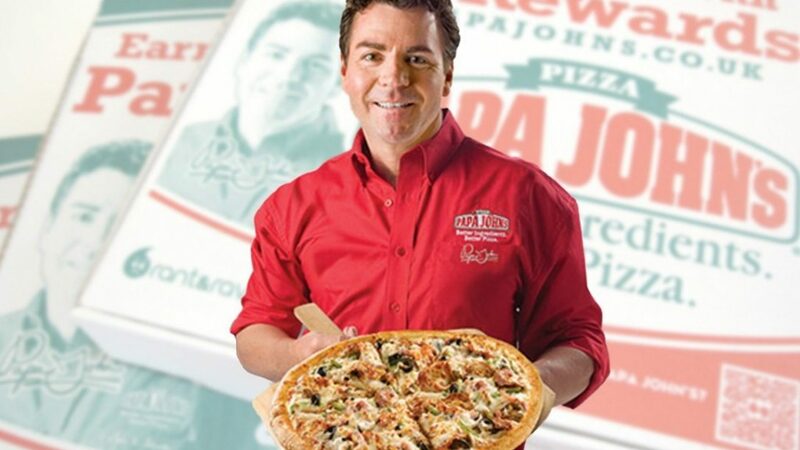 Founded out of a broom closet in his father’s tavern in 1984, Papa John’s now boasts over 4,700 restaurants. But it doesn’t have a Papa John anymore.